Dogs instinctively give their unconditional love. They are happy to see us whether we’ve been gone for a few months or a few minutes. They are not trying to sell us something and they don’t expect anything in return. People spend a lifetime trying to learn what they could easily understand by taking a walk in the park. We may call ourselves their master, but dogs are truly the masters of unconditional love. If you want to live a long and happy life you need to respect yourself and everyone else you meet. Learn the secret from the master of unconditional love. Don’t think of what you can gain from someone, think of what you can share and create with them. You can only give what you receive. A dog knows this secret intuitively. They are trying to teach us if only we would listen. Maybe that is why they so desperately want our attention. What are your favorite dog quotes or memories? Follow me on Pinterest where I share inspirational quotes and simple health tips. 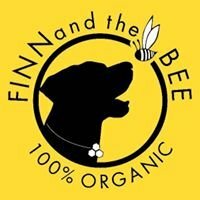 Finn and the Bee lip balm is inspired by our dog and mascot, Finn. We wanted a healthy and effective alternative to the mass-produced lip balms on the market. So we made one. Our lip balm is unique in that it absorbs easily, is long-lasting, and doesn’t make your lips feel like they are suffocating. We are constantly thinking of new ideas. With your support, we hope to bring more healthy, effective, and responsible alternatives to the world. Learn more about Finn and the Bee on our Secret Weapon Resources page.